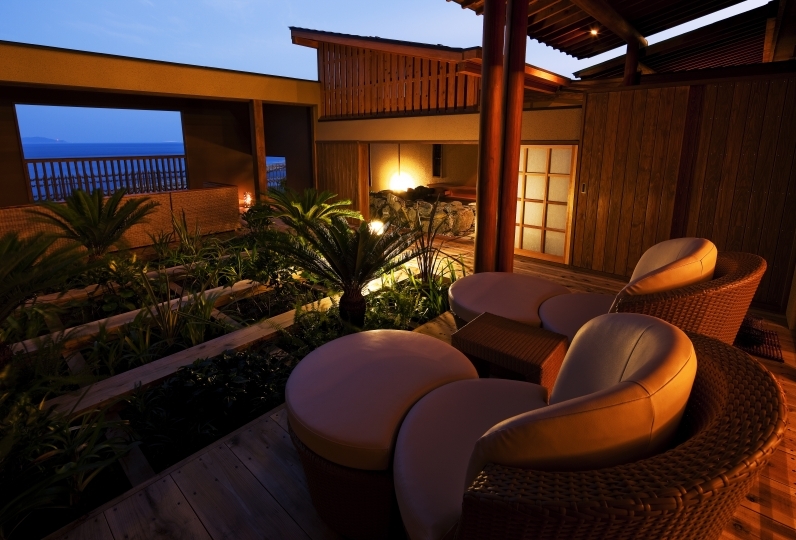 The Westin Hotel Awaji is a soothing resort on the verdant island of Awaji. This is a new style of resort where one can co-exist with nature, conveniently located with access to the city. The hospitality at the of this hotel has continued without change since its opening. All the guest rooms are brightly lit and have en-suite balconies. The view extending from it is just for you. During the afternoon one can feel the lake breeze from the window. Please enjoy a restful sleep with the aid of our Heavenly Beds. 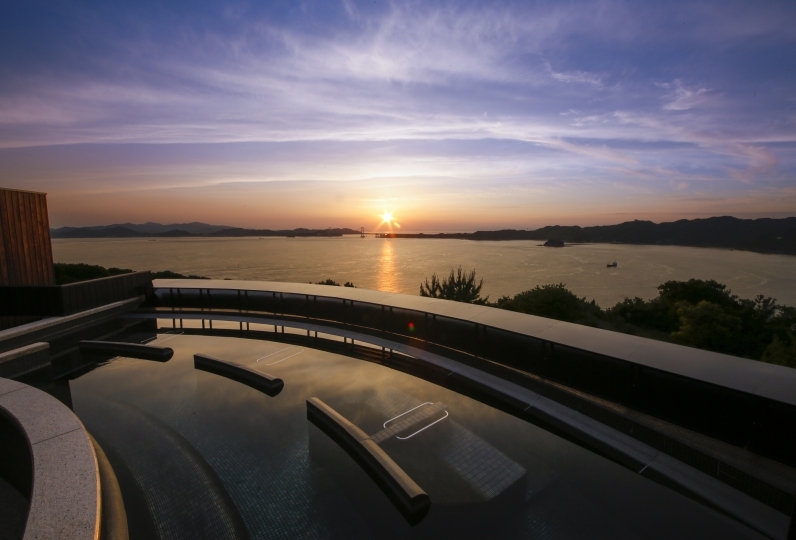 In a place overflowing with a resort atmosphere, it is easy to leisurely relax. One can choose what they would prefer to eat based on the chef's specialty dish at one of our several restaurants where all ingredients retain their initial appeal. 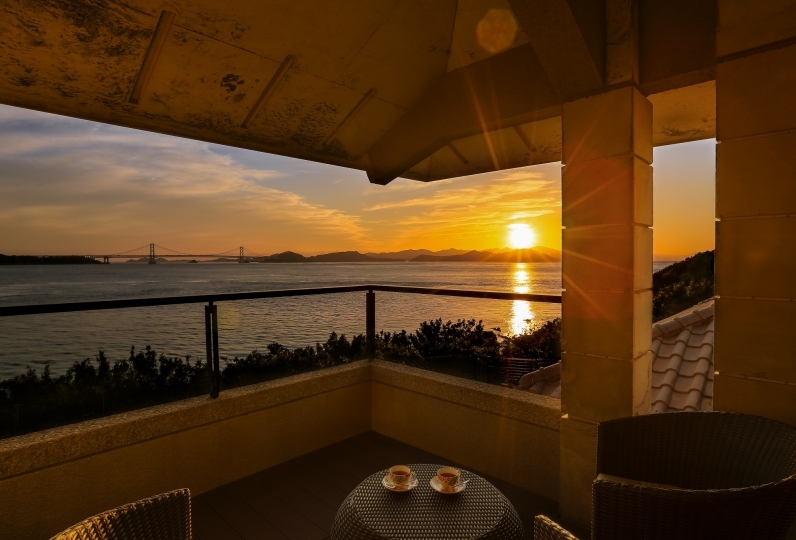 At the Westin Hotel Awaji where one can live with the forest and flowers, why not enjoy a high-quality vacation here? We had a pleasant stay with a pleasant room service. I was happy that there was a shower room as well as a separate bathroom and toilet. I was very comfortable. Thank you very much. I checked in and went to the cafe, but it was disappointing that all the cake was sold out around 16:00. I had a long wait outside to enter the breakfast room. It was good to be able to spend the rest leisurely. In a bright and free space with a contemporary resort theme, one can satisfy oneself with Western European dishes packed with rich colors and tastes. We hope you enjoy the chef's dynamic performance through the open kitchen brimming with vigorous movements. Please take full advantage of our chef's French cuisine filled with original ideas and made famous around the Mediterranean with a sophisticated venue and the utmost hospitality. We ask that you come dressed according to dress code (Limited to men/dinner time only). ※As weekdays are available by reservation only, please make reservations three days in advance of the intended reservation date. All diners are invited to watch the rich bounty of the sea and flavorful juicy Karoge Wagyu beef being grilled. We hope you savor the rich tastes that hints at the seasons and fills the five senses while admiring the chef's deft work. We recommend making a reservation ahead of time. You can enjoy a relaxing time in a space full of openness. We recommend cocktails at dusk. We arranged facilities such as exercise gym, indoor pool, tennis court, outdoor pool (only in summer) in a large space of 1,400 square meters. Rental supplies such as wear are also available. 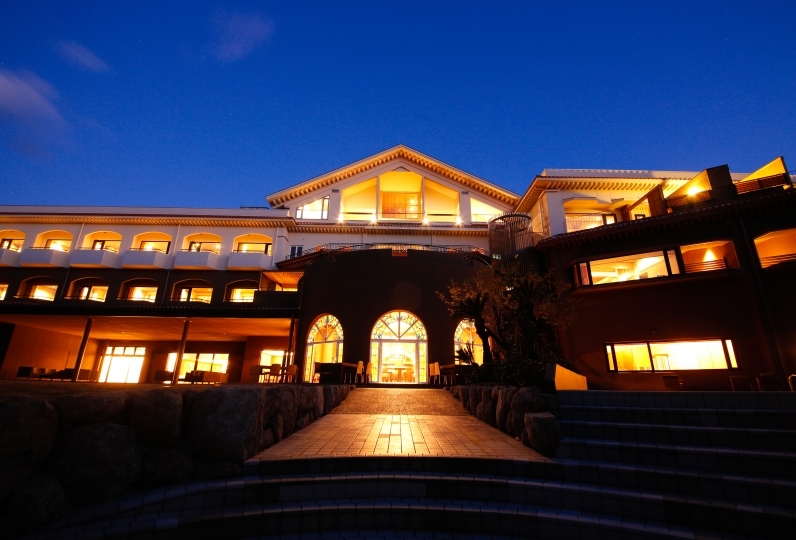 Our hotel has the multi-cultural resort facility "Awaji Yume Butai" inside the luscious nature of Hyogo prefecture's Awaji City. 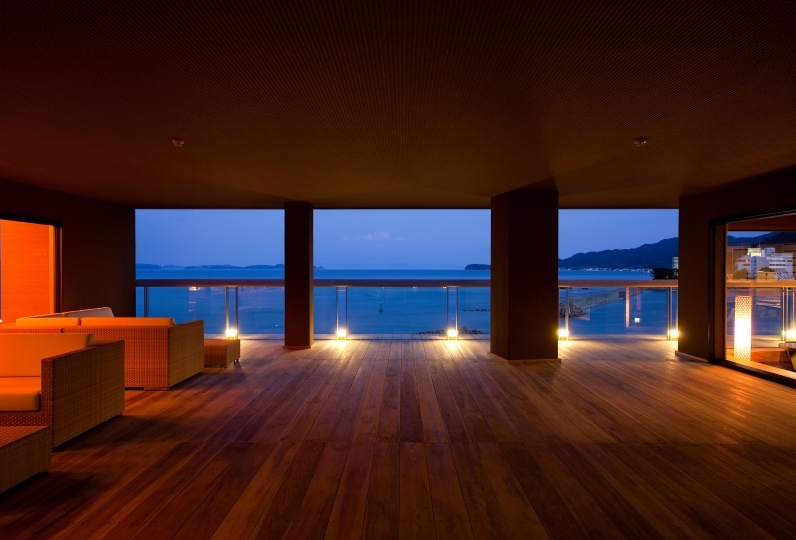 Awaji Yume Butai was built as an environment-creation project unmatched throughout the world. It was designed by the world famous Andou Tadao, implementing the structures on a dynamic slope to appear as if they blend into the landscape. Outside of our hotel, they also hold many seasonal events, and also contain an international conference room, restaurant, outdoor theater, and greenhouse garden. Please enjoy it all. 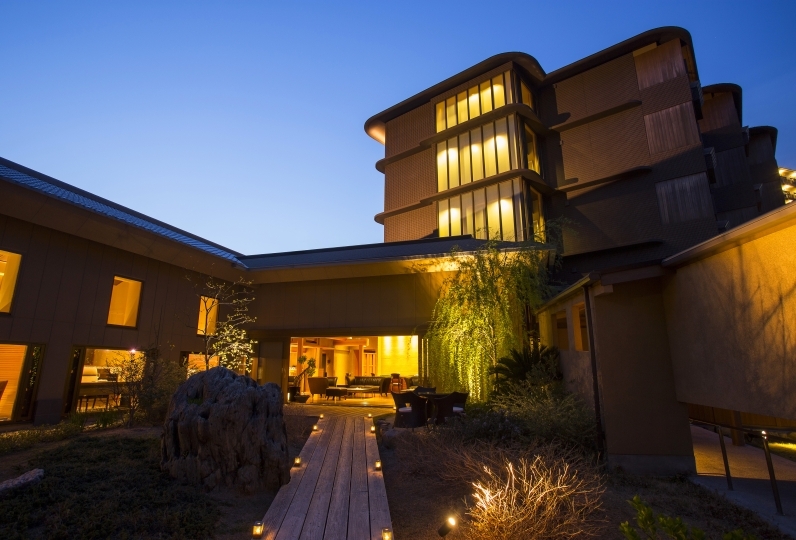 One can also have a send-off service to the joint hot spring of "Beauty Spring: Matsuho no Sato" (separate fee) and can easily buy tickets at our hotel front desk. The hot spring, situated at the entrance of Awaji Island, is a multi-use resort that takes pride in its view of the world's largest scale bridge, the delights of tasting fresh seafood in its Miketsukuni meal, and the enjoyment of easing the day’s weariness from travelling in its natural radon hot spring.